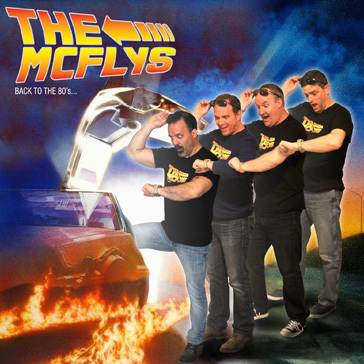 The McFlys - Back To The 80's - Live 80's music for any event. Southern Ontario's most popular party band! The McFlys Back to the 80's! The McFlys is a Totally Awesome 80's Tribute Band playing all of your favourite rock and pop hits from the 80's. From bands like Loverboy, Duran Duran, Billy Idol, Bryan Adams, Pat Benatar, Flock of Seagulls, Simple Minds and so much MORE! If you're on Facebook, ride your big wheel over to our page and give us a "LIKE"